Publisher: Geoffrey Nevine March 25, 2017 This information is provided solely as a guideline. Do women have a bigger enemy than cellulite? Some of us spend hours at the gym, with little results. Creams and diets don't seem to work, so how can you get to the bottom of it? Cellulite is one of the life’s annoying realities, but the good news is, there are ways to minimize its appearance. 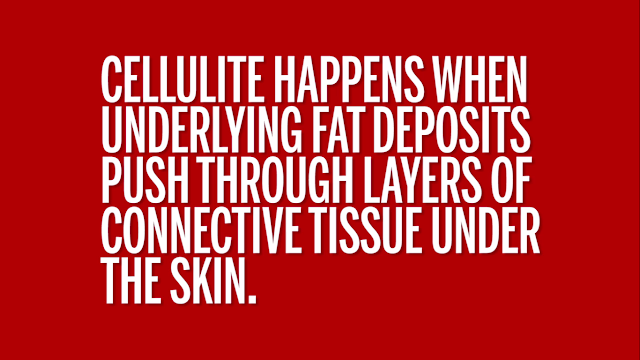 The first step is in understanding why cellulite occurs. 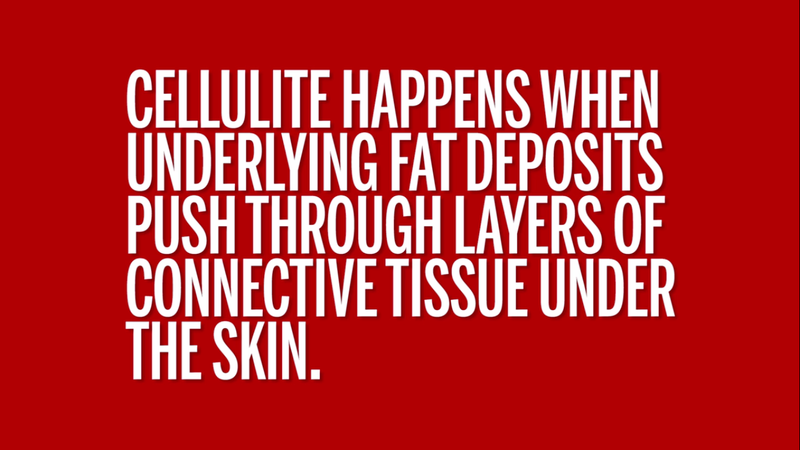 Cellulite is a problem that affects 90 percent of women at some point in their lives and up to 20 percent of men. Cellulite is not fat. It occurs either when you have weak collagen structure or when you have a problem with lymph drainage. Therefore you develop cellulite when your muscles shrink, or your retaining fluid, or both. Here are the best ways to naturally reduce cellulite. You only need to exercise for 20 minutes three times a week to improve the appearance of your skin. The best exercise for cellulite is not cardio, but strength training that works on the atrophied muscles. Cellulite usually targets the hips, thighs, and bottom, therefore the best exercises would include squats, lunges, hip lifts and leg raises. Did you know that models usually go on a sodium free diet, high in fruits and vegetables for up to a month before a photo shoot? The right kind of diet is vital to reducing cellulite. Potassium aids in the elimination of stagnant cellular matter while improving circulation. To achieve the recommended daily amount of potassium, you would need to eat an equivalent of 12 bananas. Rather than overloading your body with bananas, eat a variety of vegetables, at least five servings a day. If your cellulite is due to lymphatic drainage, then your skin will improve. However, sodium and potassium work hand in hand, therefore you would need to decrease your intake of sodium while increasing potassium. Sodium causes the body to hold water, while potassium flushes it out. Drink plenty of water, eat more vegetables and less salty snacks. To build up your muscle tissues and improve the appearance of your skin, you need specific types of amino acids. Many women are deficient in these amino acids, especially if they don’t get enough protein in the diet. Also, as you age your skin produces less collagen, resulting in weakened, dimpled skin. Collagen is the number one food for getting rid of cellulite, as it is rich in proline and glycine. The best source of collagen is found in bone broth. You can make bone broth yourself by simmering bones for at least 24 hours. Drink one to two cups daily to strengthen your cells. In a small bowl, mix 3 to 5 drops of grapefruit essential oil (use lemon oil if you don’t find grapefruit oil), with 3 to 5 drops of cyprus essential oil and one teaspoon of coconut oil. Rub and massage this on the affected area for at least two minutes daily. The rinds of citrus fruits help to cleanse the lymphatic system. This helps to support circulation and lymphatic flow. Brush your skin starting with your feet, moving up towards the heart. Do this for 5 to 20 minutes a day. This will strengthen your skin and help in detoxification. Lastly, be patient as these solutions don’t work overnight. However, you’ll be pleasantly surprised as your skin continues to improve.